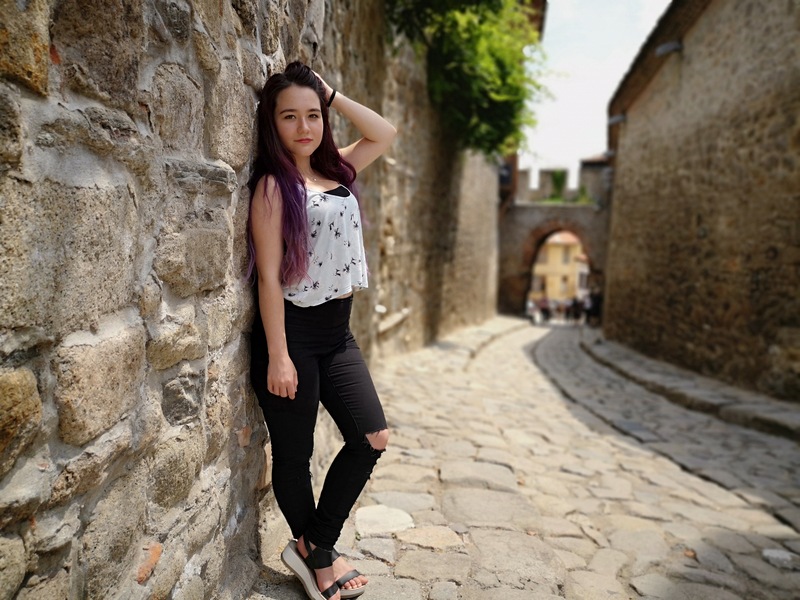 Plovdiv is a city full of mystery and life. As a native, I can say a lot of things about my city, but they will be never be enough. 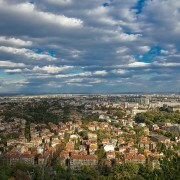 Although it’s a small city of some 340,000 people, it is the second largest city in Bulgaria. It is 2.5 hours from Bansko and 1.5 hours from Sofia. For travel options, click here. There are a lot of interesting places to discover. The city, older than Rome, is so old that some of the Plovdiv you now see has been built over the ruins of the previous city. It is located on seven hills, but three of them were destroyed for the granite used to build the streets of the Old Town. Now there are only four (Dzhendem Tepe, Bunarzhik, Sahat Tepe, Nebet Tepe). There was a hill, called Markovo Tepe, located next to the Bunardzik, but it was destroyed for granit to build houses there. And then the houses were removed to build the shopping called Mall Markovo Tepe. 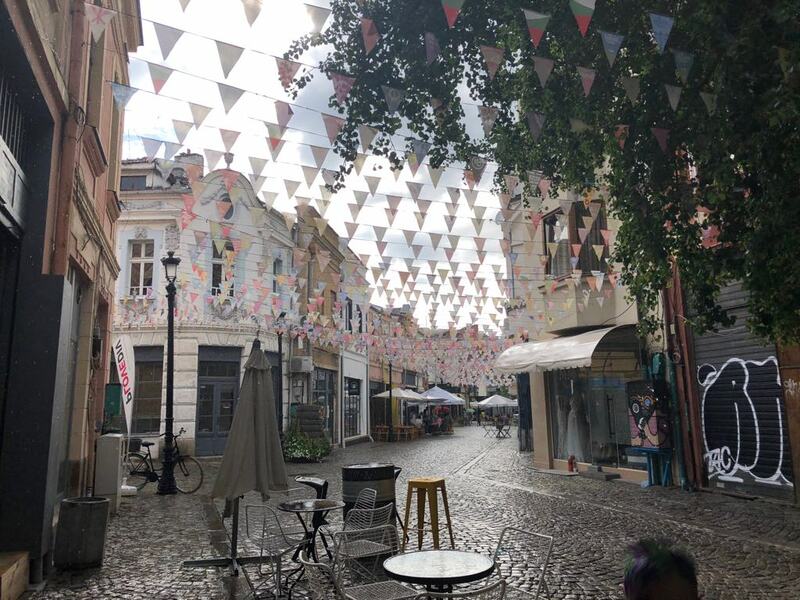 Plovdiv has been chosen for the European Capital of Culture 2019, therefore the city is benefiting from a major make over on its roads, parks and buildings. 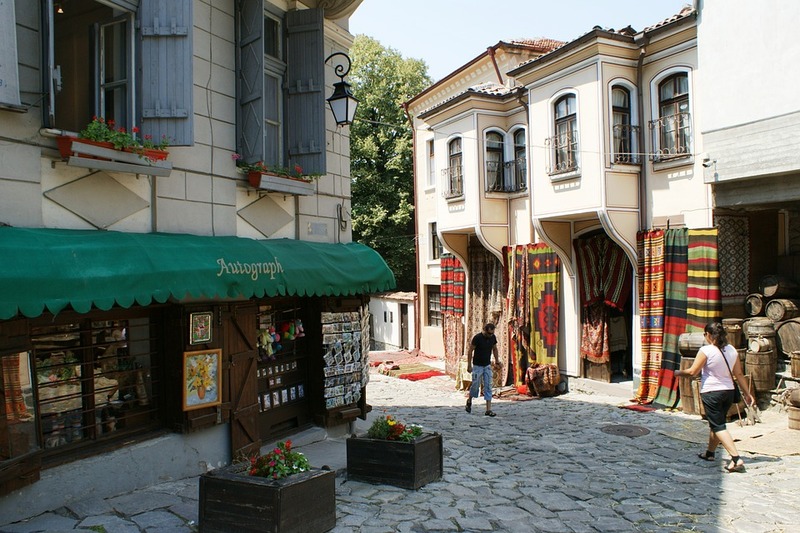 No visit to Plovdiv should happen with our visiting the Old Town. There are small car-free streets, old beautiful houses, souvenir shops, and restaurants. Most of all, for me, are the amazing views from the top. Many of the houses are museums but, most of all, I love that virtually nothing has changed here for centuries. If you missed Kapana, you can not say you have been in Plovdiv. The new spirit of Plovdiv is there. It is a mix of the old city and the new modern city. The pedestrianised streets are small and the buildings are only two or three floors. There are a lot of different cafes and restaurants all close by. So you go from a coffee to a craft beer in only a few steps. There is colour and vibrancy everywhere you look on the small streets. There are regular Kapana Festa for every season. There are several big festivals where people come from far and wide. It is located next to the main square. The Tzar Simeon’s Garden is the most beautiful garden in Plovdiv. It is full of flowers and an eclectic mix of tree types. Every night they are lit up in different colours. 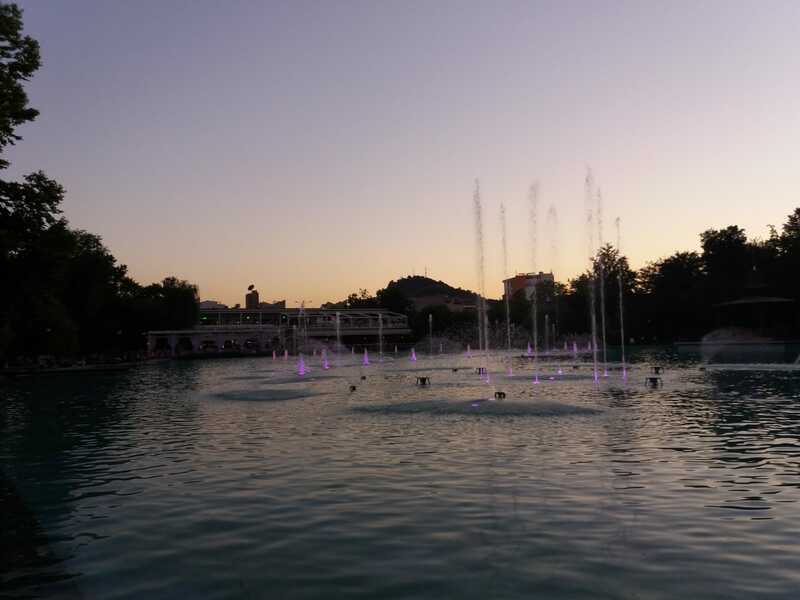 In the summer The Singing Fountains are a water show with music on a Saturday evening starting at 21:00. 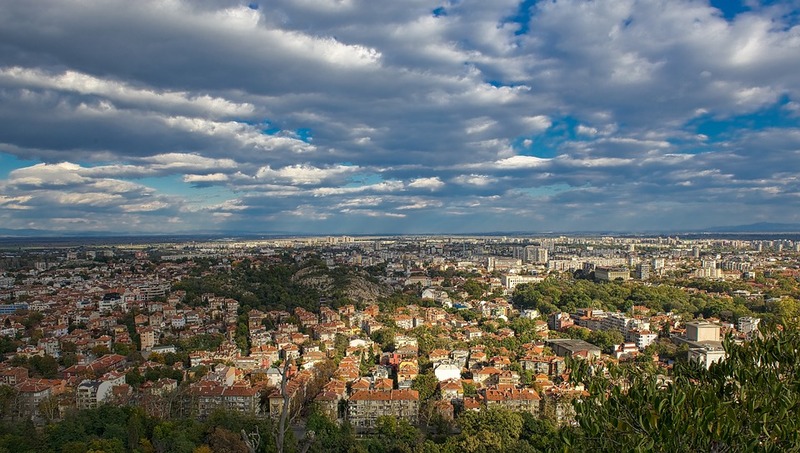 The whole hill of Bunardzik is the biggest park in Plovdiv. There is the Alyosha monument on the top of the hill. It is 11 meter high and it is made from granite. It was installed in 1957 and represents the Soviet casualties during the Soviet occupation of Bulgaria. After all, this is the highest hill in Plovdiv and from the top you can see the whole city and beyond to the Start Planina. It is definitely the most beautiful view of the city. 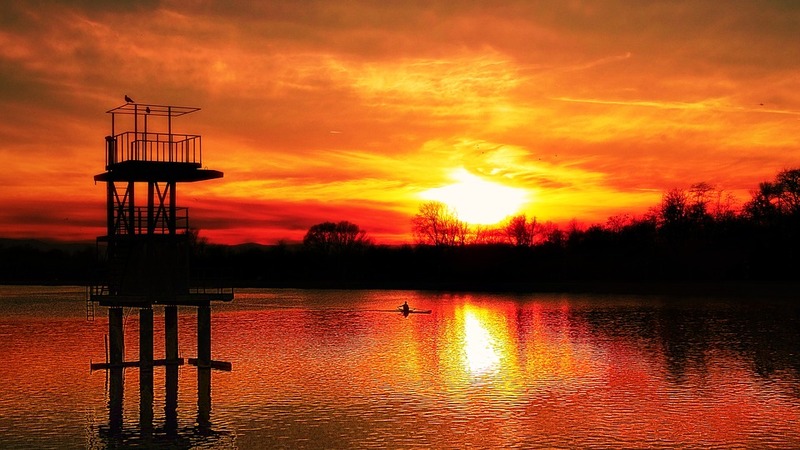 It is the largest rowing canal in the Balkans. Where the Men’s and Women’s European Rowing Championship took place on 16th September, 2011. It is made for rowing competitions and school lessons. Now is a complex of sporting activities. There are sports halls, tennis and basket ball pitches. Every time I have been there I see a lot of people running and cycling around the lake. There are also a few good restaurants. These are some of the main places in Plovdiv. 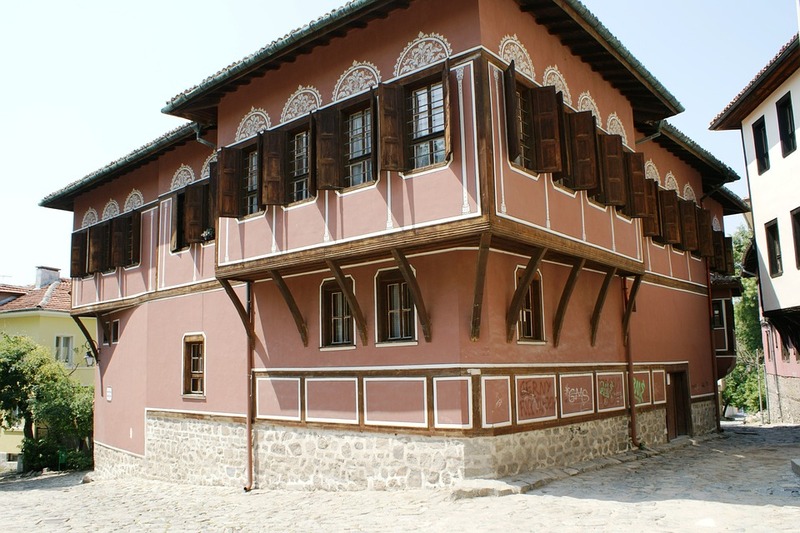 I recommend The Free Tour Plovdiv for an interesting guide of the Old Town, Kapana and the museums. Mooveit transport app for using public transport once in Plovdiv. For travel options, click here.